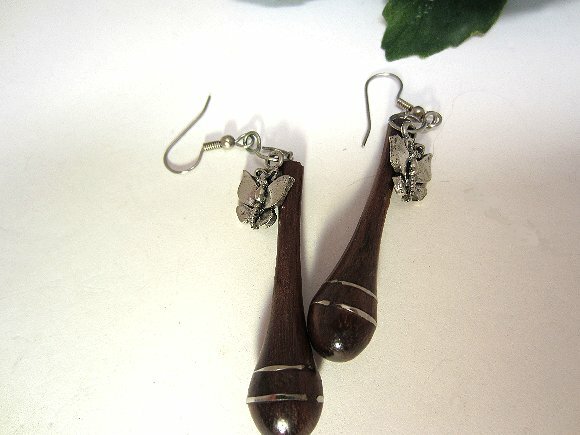 Light, long and lovely, these wooden earrings are as delightful to look at as they are to wear. 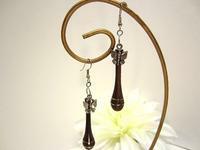 The pendants are shaped into elongated teardrops with a pair of silver tone bands around the drop part. 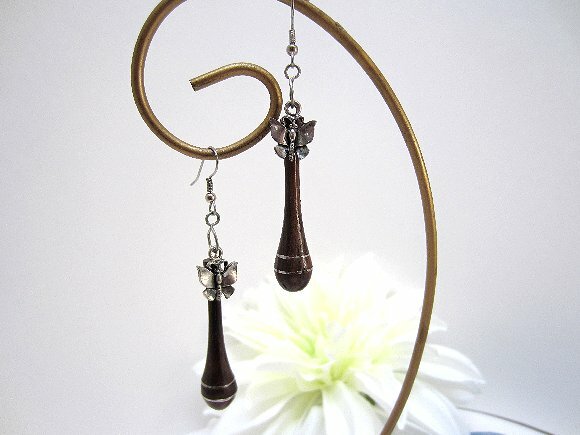 I've added pretty silver tone butterfly charms to complement the feminine shape of the wood drops. 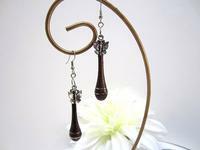 ]The wood earrings dangle nearly 3-1/4" from the tops of their hypo allergenic surgical steel French hooks. 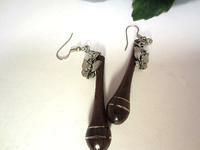 They?re another pair of lightweight wood earrings from SPARKLE PLENTY.